There’s no denying the fact that Amish barns in MD can add charm, beauty, function, and value to any property. 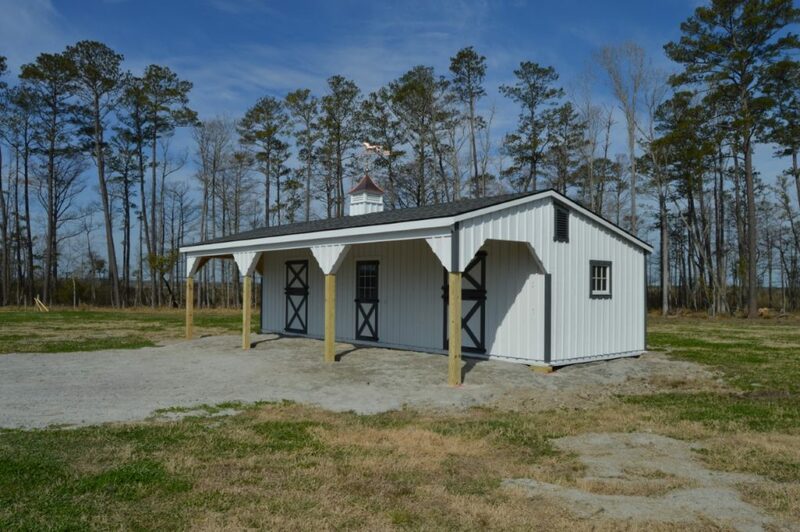 As trusted horse barn builders in Maryland, J&N Structures takes pride in offering one-of-a-kind exterior structures designed to last for many generations. And thanks to our customization capabilities, your new barn, garage, shed, or custom building can be something that’s just right for your needs and budget. Our horse barn builders in Maryland definitely know what matters most to property owners in the Old Line State. When customizing your horse barn, you’ll be able to choose your preferred dimensions based on what’s right for your property and desired barn location. You’ll have just as many options with colors, materials, and accessories. Normally, we’re garage builders in Maryland who prefer to construct top-quality Amish builts garages & barns from scratch. However, we’re just as capable of adding on to an existing structure. What’s more, we have a modular barn that makes it easy to add on your structure at a later point in the future, if you desire to do so. What makes our custom garages in MD stand out is our attention to every detail. Our master craftsman in Maryland will ensure that your completed structure is perfectly tailored to your exact specifications. In fact, we look forward to including your newly constructed garage in our impressive project portfolio. The builders of Amish garages Maryland from J&N Structures creates are just as well-built as our top-quality barns. Our Amish garages come in an assortment of shapes, sizes, and colors. Some are small enough to work well on properties with limited space, while others are large enough to store everything from vehicles to household, garden, and farm items and supplies. We can also help you out with any wood sheds or chicken coops you may need for your residential or commercial property in The Free State. No matter what your vision for your new barn, garage, or outdoor structure involves, our building team will come through for you. 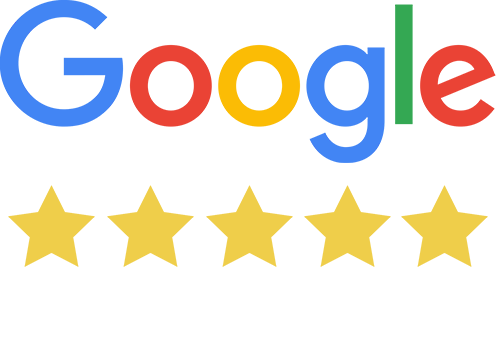 Our experienced team will take the time to discuss your options and explain your preferences. You’ll also have an opportunity to ask questions and clarify your design preferences. You’ll also appreciate the fact that your new Amish made shed, barn, garage, or specialty building can be crafted in a way that beautifully blends in with your existing exterior features and structures. And because our building team is familiar with the many unique features that make Maryland landscapes so appealing, these design elements that will be kept in mind as your new structure is built. Because Maryland is a beautiful Mid-Atlantic state with an assortment of stunning waterways, coastlines, and gorgeous landscapes, there are endless ways to incorporate our structures into your outdoor spaces. Whether your property within this historic and charming state is blanketed with rolling hills or miles of farmland, rest assured that your possessions, vehicles, and animals will be well-protected. 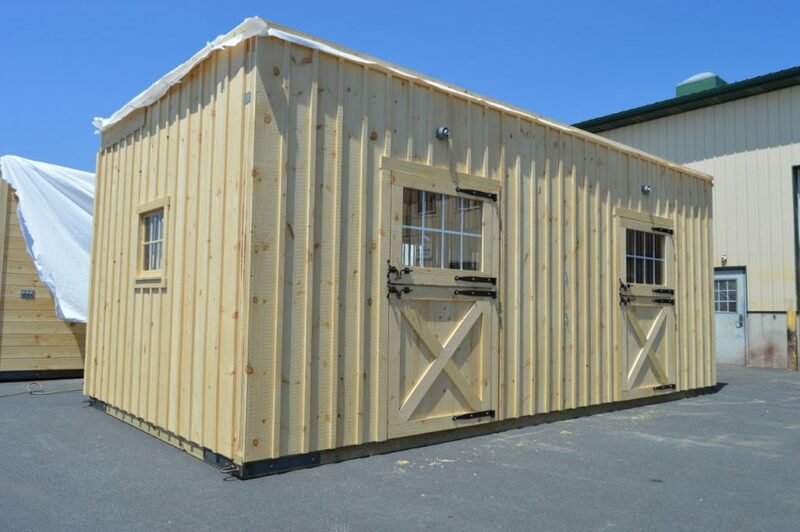 Contact the J&N Structures dealer closet to your location to explore your options with garages, custom horse barns in MD, and the other structures we offer. Once you select a Maryland dealer, contact them directly to receive a quote.